The IAV is the KJV and we’ve got the proof. In 1961, when I was twelve years old, I first became aware of multiple translations. I found this confusing and troubling. Thus, began my life-long quest for the true text of the Bible both in the English language and the original languages of the Bible. This is a short history; so, I will only concentrate on major developments in the history of the IAV. 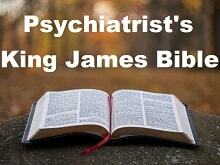 The King James II Version was completed in 2000 (King James II Version). It had a number of shortcomings. The King James III Version was completed later in 2000. It was an improvement on the King James II Version but did not have the stamp of final authority (King James II Version and King James III Version). 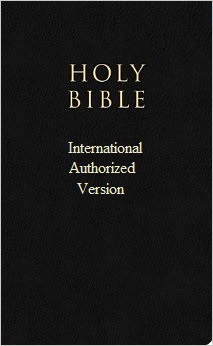 The InterClued KJV Bible, neither a translation nor transdialection, was completed in 2003. It was a successful study aid. The InterClued KJV Bible was followed, in 2005, by the Interdialected KJV Bible then, later in 2005, the Transdialected KJV Bible. Next, still later in 2005, we began an in-depth study of the Webster Bible by Dr. Noah Webster. This was followed, in 2010, by the supercomputer-collated Bisconti-Webster Bible, which is the immediate forerunner of the IAV and which we have provided on our website at “Textual Authority*/Bisconti-Webster Bible” in the menu at the top of our website. Note that we do not yet know whether the Bisconti-Webster Bible has the stamp of final authority; that is, we do not yet know whether the Bisconti-Webster Bible is fully and completely a transdialection of the King James Bible. The IAV was under development concurrently with all of the preceding versions, often being influenced by what was learned from those earlier efforts. Finally, much of the history of the IAV is yet to be written.